Picture yourself gliding along Britain's tree-lined waterways in a traditional canal boat; cruise to Shakespeare's Stratford upon Avon to soak up the atmosphere or see a play; visit the Roman city of Bath or the historical industrial centres of the Midland or the North. Or cruise the spectacular Llangollen Canal in North Wales, Britain's most scenic canal. Sample a pint of traditional ale and a pub meal beside a canal; explore a museum or marvel at the engineering of the handmade lock systems that allowed boats to climb up and down those rolling green hills transporting goods for more than two centuries. 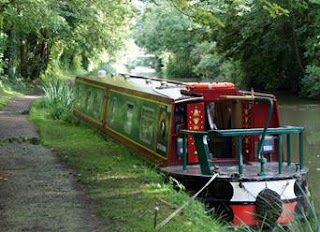 Narrowboat holidays are ideal for couples, families or groups – with comfortable cabins and shower/toilets - no experience or boat licence required. Self-drive boat hire is available from bases across England, Scotland and Wales for week-long, mid-week or long weekend periods. Boating holiday specialists Outdoor Travel, based in Bright, Victoria offers a wide range of narrowboats from March to October each year. There are early booking discounts of up to 20% off these charming narrowboat canal holidays for new reservations for 2013 made before 21 December 2012. Book now! Cost for week-long hire of 2-4 berth canal boat from $740 (normally $925) including hire fees, cooking facilities, linen and towels.